ActivIdentity Corporation announced its new convergence technology, the F5 PAC Solution with API, and a FIPS 201 Partner Program to offer government agencies and commercial enterprises integrated security management capabilities for physical and logical access control. Through this program, ActivIdentity, along with its physical access control vendor partners, will offer a solution that meets government mandates of FIPS 201/SP800-116 compliance, managed entirely through the PACS manufacturers interface. This partner program provides the new ActivIdentity F5 Solution with API for integration by PACS manufacturers. The API provides an approach for manufacturers to PIV-enable their access control systems, allowing certified partners to meet all the criteria to be on the GSA Approved Products List under all authentication system categories. The partner program also includes the credential issuance and management products from ActivIdentity, ActivID CMS and ActivClient. 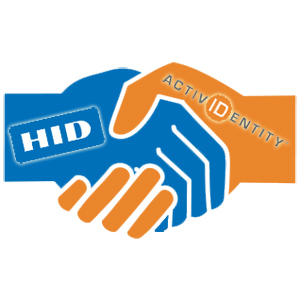 ActivIdentity partners can deliver integrated physical and logical access control solutions including credential issuance and management for PIV, PIV-Interoperable (PIV-I), PIV-Compliant (PIV-C), as well as custom certificate-based credentials for government and enterprise with ActivIdentity’s F5 integration and the new CMS appliance. ActivIdentity is partnering with manufacturers in the industry and physical access control systems. The ActivIdentity FIPS 201 F5 API and FIPS 201 Head-end Developer Bundle are available now.